Answer "How do I find a good cynologist?" This "How do I find a good cynologist?" answer was viewed by 1275 visitors. 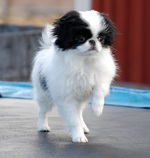 Cynologist profession – is an incredibly rare occupation, which is directly connected to dog breeding and training. When you want to find the best dog trainer, you should be ready for a slow and careful process of making a choice, because you can easily find a person, who has no "soul" but has a diploma with a certain specialization. 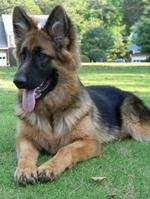 1) It is important to understand that Cynologist is aimed to not just train the dog, but its owner as well. 2) After 2-3 first training sessions, there should be at least some minimal result distinguishable, or it may be a reason to think about the qualification of the chosen Cynologist. 3) You should also pay attention to the approach that the trainer uses to answer all the questions he receives. Is he able to answer all of them, or maybe it takes him too long to find an answer? It is a good marker to understand the level of competence of a certain trainer. 4) Look at the ammunition your Cynologist uses. There are no self-respecting dog trainers, who will ever use some low-quality equipment. Everyone knows that substandard tools can easily harm a dog. 5) Visit a couple of training sessions to watch the process: which rules are used by the trainer? Does he hit your dog? Which dog should I choose for my family? How do I deal with unpleasant pranks of my puppy? RU: Как найти хорошего кинолога? How much time do people spend on their dogs?